May 2, 2018, 3:31 PM · Attention violin makers! The International Violin Competition of Indianapolis (IVCI) is holding a 21st-century violin search, open to all violin makers. The violins submitted all will be publicly displayed as part of this fall's Indianapolis competition and will be eligible to be selected for purchase by the IVCI, to be made available to the competition's winners for concertizing. "Through this search, we endeavor to introduce the finest young violinists in the world to the greatest violin makers, by providing a rare opportunity to view a large pool of instruments at one time," said a statement by the IVCI. "Our ultimate goal is to identify and purchase two or more of the violins and make them available to our Laureates for concertizing." The 10th Quadrennial Indianapolis competition will take place Aug. 31 - Sept. 16, and a public exhibition of the 21st-century violins will take place on Sept. 15. During the competition, the violins will be evaluated by concert violinists, violin experts, competition participants, and jury members to determine the top six violins. The IVCI will then decide whether to purchase two or more of those top violins. The six top-ranked violins will be featured prominently at the competition's final concert on Sept. 15, following the last performance of the Finals and while the jury’ is deliberating over the 2018 IVCI Laureates. Each violin will be played by a concert violinist on the stage of the Hilbert Circle Theater, and the identities of the makers and the results of the search will be announced that night, prior to announcing the placement of the 2018 Laureates. 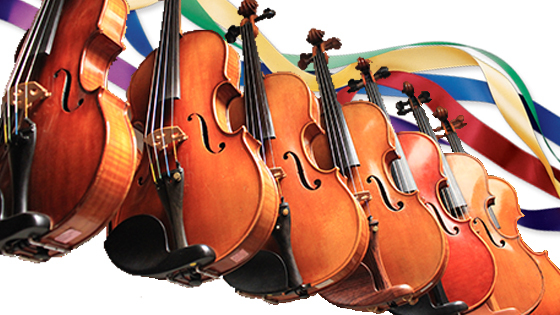 Click here for more information about the IVCI's 21st Century Violin search.